Kenichi,Hattori starts attending school undercover,occasionally accompanied by his brother,Shinzo,Shishimaru the ninja dog and Kenichi's girlfriend, Yumeko. The gang is also threatened by the rival Koga ninja and his evil Shadow-cat. Episode 01 – The Great Bargain Sale! / Transformation Isn’t a Child’s Play! Episode 02 – Everyone Needs Encouragement! / Are You Scared of Mummies? Episode 03 – Mama’s Mission Fitness! / A Scribbling on Hattori’s Face! Episode 04 – I’m Going to Papa’s Office! / A Tennis Match Between Kemumaki and Kenichi! Episode 05 – Shinzou Wants to Help! / It Isn’t Easy to Make Yumeko Happy! Episode 06 – Where is the Examiner? / Who is the Superhero, Kenichi or Kemumaki? Episode 07 – A Day Without Electricity! / Dog Versus Cats! Episode 08 – The Result of Sir’s Homework! / A Customised Cycle! 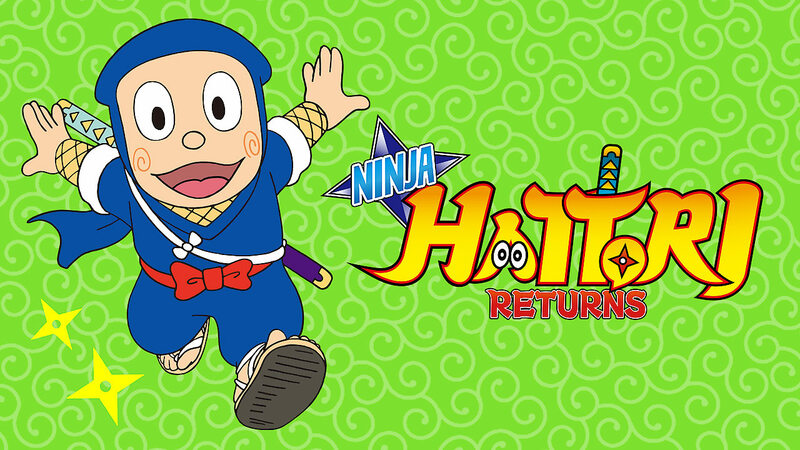 Episode 09 – Hattori’s Prolonged Hiccups! / Kenichi and His Wish! Episode 10 – A Tiff Between Shinzou and Hattori! / Enemies or Friends? Episode 11 – Hattori Revives a Failing Business! / Kenichi Performs Magic Tricks! Episode 12 – Shishimaru’s Kindness! / Ninja House Contest!